Be the first to share your favorite memory, photo or story of Vito. This memorial page is dedicated for family, friends and future generations to celebrate the life of their loved one. BEVERLY - Vito M. Tanzella Ret. 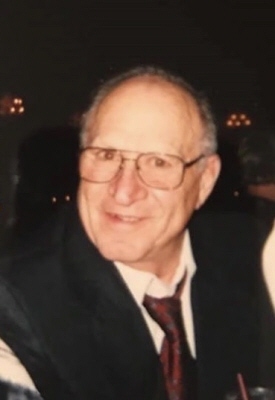 Beverly Firefighter, age 87, died February 5, 2019 at Beverly Hospital. He was the husband of Sandra (Casey) Tanzella. He was born and raised in Beverly. He was the son of the late John and Angelina (Tomeo) Tanzella. He was a graduate of Beverly Trade School Class of 1950. An honorary discharged veteran. He served his country in the United States Army during the Korea War. He was a Beverly Firefighter for over 24 years. He enjoyed spending time with his family and loved to help others. He loved hunting, fishing and being outdoors. The Family would like to thank Care Dimensions and the staff at Beverly Hospital for their outstanding support and care received by Vito. Surviving him, in addition to his wife Sandra of 58 years of marriage are four sons, Craig Tanzella and Lisa Groppo of Beverly, Vito Tanzella and his wife Tracy of Raymond, NH, David Tanzella and his wife Judy of Beverly, William Tanzella of Beverly; a daughter Audrey Ann Tanzella; eleven grandchildren Brittany, Nicholas Beverly Firefighter, Erica, Rachel, Emily, Courtney, Cylee, CaCee, Christopher, Heather, Kelly; three great grandchildren, Jordan, Cheyanne, Lilly. He was predeceased by a brother, Nick Tanzella, two sisters, Pam Lalikas, Esther Cunniham and granddaughter Nicole. His funeral Mass will be celebrated on Saturday in St. Mary Star of the Sea Church, 253 Cabot Street, Beverly at 10:30 a.m. Visitation will be held in the Campbell Funeral Home 525 Cabot St, Beverly prior to the Mass from 8:30 to 10 a.m. Relatives and friends are cordially invited to attend. Interment will be privately. Contribution may be made in his name to American Cancer Society www.cancer.org Information, directions and condolences at www.campbellfuneral.com . To send flowers or a remembrance gift to the family of Vito M Tanzella, please visit our Tribute Store. "Email Address" would like to share the life celebration of Vito M Tanzella. Click on the "link" to go to share a favorite memory or leave a condolence message for the family.